Get Em High » Girl’s Playful Shrieks Turn Into Silence After Brutal Water Slide Crash! 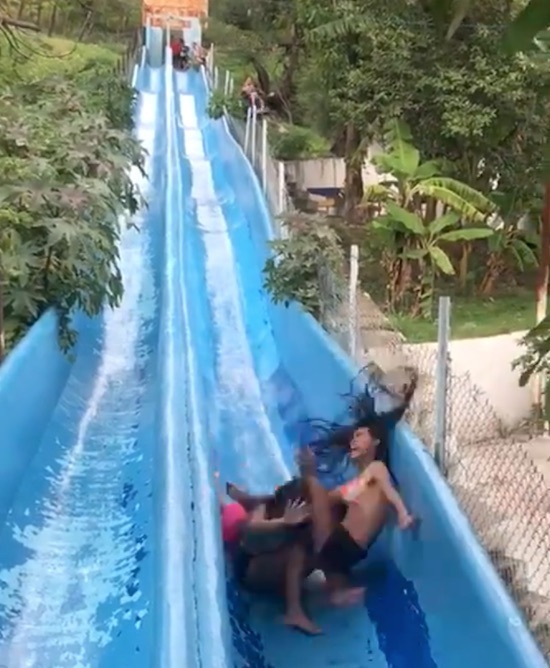 Girl’s Playful Shrieks Turn Into Silence After Brutal Water Slide Crash! Clearly they should have just hopped up on the centre divider, but that’s for them to contemplate while in the hospital. Even kids their age should have been aware that they were parked in a dangerous place.